New constitution: Is this the correct time? "In most countries the majority of the people do not understand the importance of a constitution as they mistakenly think it does not have any direct bearing on their lives. All this seems to be arising out of ignorance that a good constitution is fundamental to all economic and social well-being of a nation." The debate over a new constitution has come to the fore again. Many critics especially those who do not like to see any progress in this regard due to personal agendas are raising issues saying that there are many other grave issues facing the country which needs to be tackled before introducing a new constitution. If there is a strong need for something in a country that has to be done at whatever time possible. No politically honest person will argue against the need for a totally new constitution. The election of 2015 was fought on the theme of abolishing the current constitution and establishing a system of good governance while resolving the national issue once and for all. All the minority communities as well as educated and right-thinking sections of the population whole-heatedly supported a political change with this intention. The importance of a good constitution became clearer than ever before during the recent constitutional crisis which finally had to be resolved by the country’s highest court. Most people who earlier asked whether the constitution was for the people to eat (Vyavasthava Kannada), were reading that document day and night during this seven weeks of political and economic turmoil. So much so all the printed copies of the constitution and the nineteenth amendment were sold out like hot cakes and there was a shortage of them at the government publications bureau. The need for a new constitution began with anti-democratic and authoritarian trends experienced under the present constitution at different times. That is why both past Presidents Chandrika Kumaratunga (in 1994) and Mahinda Rajapaksa (in 2005) and present President Maithripala Sirisena (in 2015) included abolition of the executive presidency as one of the main items in their presidential election manifestos. For the chauvinist and racist politicians both in the south and the north, the unresolved northern issue is a very useful thing much like the beggar’s wound (HingannageThuwale) as it is easy for them to survive in politics by harping on this issue. It is much easier to inflame communal feelings among people than finding actual solutions to social and economic issues faced by them. The issue about the constitution has a long history in our country. When we got our independence there was no demand for separation from the Tamil mainstream politicians. They all agreed upon the Soulbury Constitution which was drafted after a consultation process which went on for more than two years. It had adequate protection for minority interests and continued to be our supreme law until 1972. Then, the constitution of 1978 was similarly forced upon the country by the J R Jayewardene government by making use of the five-sixth majority they had in the parliament. 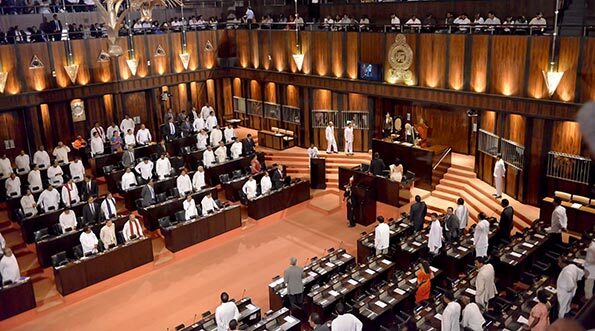 It changed the whole governing and electoral system of the country by introducing the executive presidency and the underlying intention, it appeared, was to perpetuate the grip of the United National Party in Sri Lankan politics. The nineteenth amendment which is in force at the moment came as a direct result of the need for changing this situation. However, it addressed only the good governance issue by establishing a constitutional council and independent commissions and introducing a more democratic mechanism for appointing persons to some high posts. It was a hurriedly introduced interim measure and therefore did not address the vital national issue of power devolution which was left to an entirely new constitution as promised in the 2015 election campaign. Accordingly, a process to draft a new constitution began with the formation of a Constitutional Assembly in March 2016 where all 225 members of parliament sit as a committee. Thereafter, a Steering Committee consisting of 21 members reflecting the general political party leadership within Parliament was appointed for preparation of a constitutional proposal. From that time onwards through public representation committee and by other means the views of all sections of the people have been accommodated in the process of making a set of constitutional proposals which has finally gone into the tentative draft which has now come before the steering committee. The final draft of a constitutional bill has to be prepared based on these proposals. In order for that to become law, it must be passed in the parliament by a two thirds majority and finally approved by the people in a nationwide referendum. This sort of long and participatory process will ensure that a constitution so adopted will have the approbation of the people and therefore likely to last long. In other words this is the first time a constitution is being prepared with adequate time allocated for the process and giving opportunities to all segments of the people to make representations akin to the process followed in India when they wrote their own constitution soon after independence. This is also the first time after independence, all the communities, particularly the Tamils are participating in a constitution making process.